The Americans, resolved to suffer anything rather than yield, and filled with that enthusiasm for liberty… have 38,000 effective men under the walls of Boston… I say, Sire, that such a nation must be invincible. Beaumarchais convinced the foreign minister, and eventually the king himself. 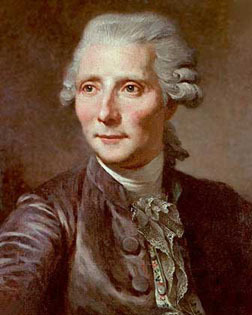 By May of 1776, Beaumarchais had a shell company, Roderigue Hortalez et Cie, shipping secret war supplies to America. In addition to his own money, the French treasury supplied millions of livres. Beaumarchais even got the Spanish monarchy to set up fake shell companies to ship supplies too. By the time of the Declaration of Independence, July 4, 1776, America’s secret agent in Paris, Silas Deane, wrote that without the “generous, indefatigable and spirited exertions of Monsieur Beaumarchais, to whom the United States are, on every account, greatly indebted,” he could not have carried out his mission. Eventually, Washington would enjoy for six weeks the French fleet, and French cannon, which would successfully bottle up Lord Cornwallis at Yorktown, Virginia, and lead to the British surrender there. Beaumarchais would not live to see it, but in 1835 the U.S. government gave his heirs 800,000 livres in recognition of his indispensable help. Nobility, fortune, rank, position! How proud they make a man feel! What have YOU done to deserve such advantages? Sufficed to rule all the provinces of Spain for a century! So how does this bear on Mozart’s opera? Well, the play is inextricably linked with the runup to the French Revolution. But what Mozart and his librettist, Lorenzo da Ponte, created, and put before the Vienna Burgtheater on May 1, 1786, almost exactly two years after the premier of the Beaumarchais play, is a timeless human comedy. The struggle of wits between Figaro and his master is still the wellspring of the plot, but Figaro’s fourth act aria, “Aprite un po’ quegli occhi,” based on the soliloquy from the play already quoted, concentrates on his jealousy and anger. There is no covert call for revolution. And since this is a comedy, all ends happily. The aristocratic custom of droit du seigneur, the“right of the lord” during medieval times to deflower one’s peasant girls upon their wedding night is abandoned by the chastened Count Almaviva. Another one of the aristocracy’s favorite ways to deal with unruly servants was to send them into the army. And Almaviva has decided to get rid of his troublesome page Cherubino by commissioning him an ensign and ordering him to join up. 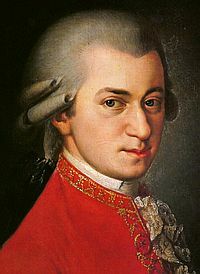 But the real consequences of such an act are carefully buried by Mozart. In his opera, Figaro, the barber, also things this is good riddance, and he closes Act I by singing the poor page a mock military tune while marching him up and down. And Cherubino doesn’t obey the master—he stays around, and makes mischief the entire delightful opera. In the immediate present, we live in the “Me Too” age, and we commoners are quite unhappy at our own aristocrats—millionaires and billionaires—who in this time of supposed “meritocracy” buy entrance to elite schools through bribery and chicanery. Will our response be that of the Figaro of Beaumarchais? Or the Figaro of Mozart?